Our Destination Wedding Collection was created for couples who are traveling abroad to take their vows. 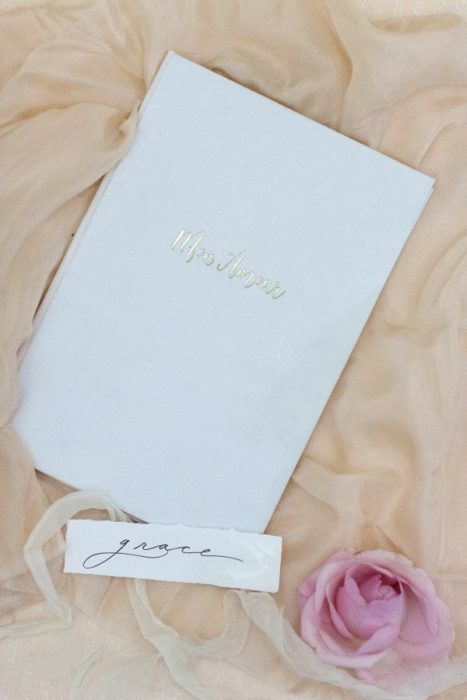 These vow books are perfect for vow renewals, anniversary photo shoots, and elopements. 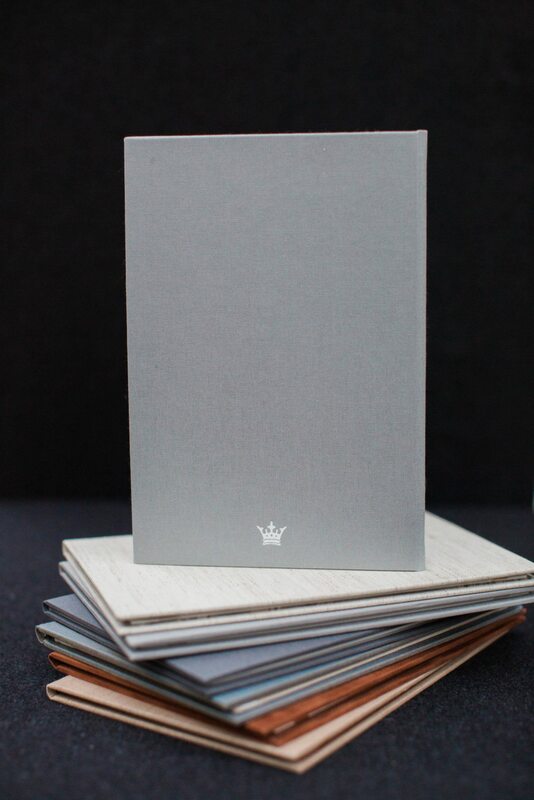 Each book comes with a neutral interior. For custom requests, please contact us. Romantic words of love, created for our couples traveling to the City of Lights for their wedding. 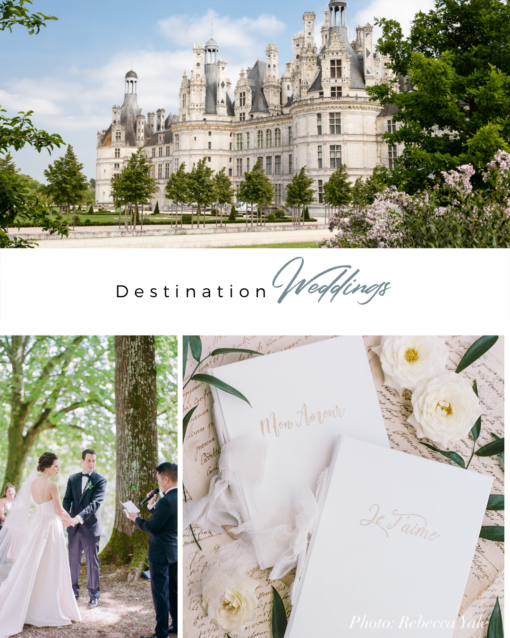 Paris, France conjures up the most beautiful mental images, picturesque countryside churches, romantic boat rides, outdoor cafes, and the Eiffel Tower…and we want to celebrate this city of romance with you. For the traditionalist at heart. 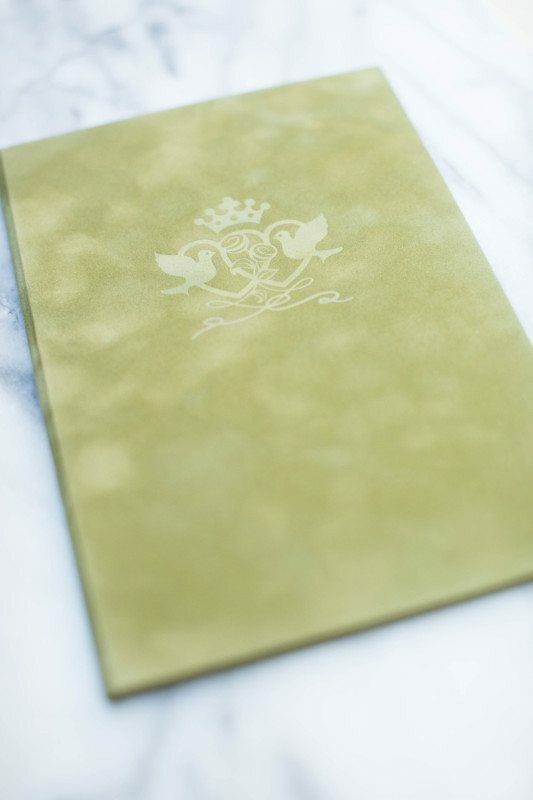 This old French vow book design was inspired by ancient poesy (poetry) rings. 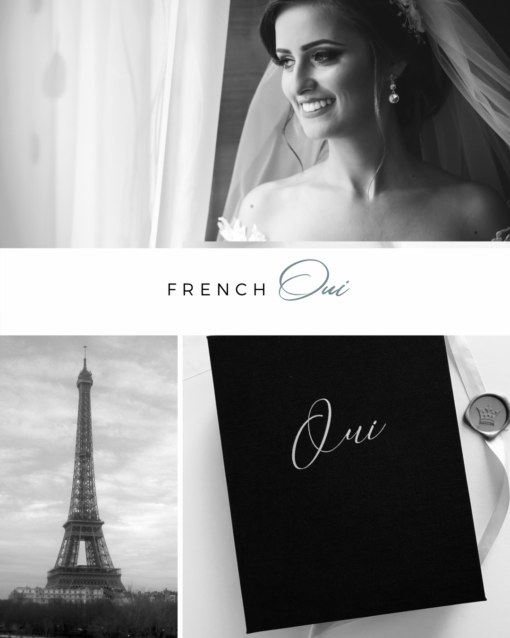 Back in the 5th through 15th centuries, French women wore lockets and rings that kept hidden messages within them, often exchanged during a wedding or given as a token of friendship. How romantic! The Scottish Luckenbooth symbol has a lengthy history. It is one of the most romantic symbols dating back many centuries and traditionally exchanged between lovers and later pinned to their baby’s blanket as it nestled around the child. The design traditionally offers protection against evil spirits and the attention of fairy folk as a lucky charm but later given a more romantic meaning when Queen Mary of Scots was presented a brooch by her future spouse, Lord Darnley. 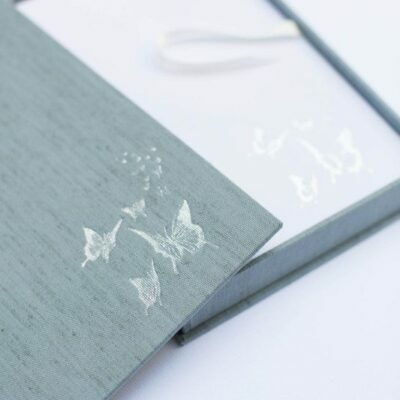 This vow book’s Luckenbooth symbol is a special design created specifically for Wedding Story Writer couples. 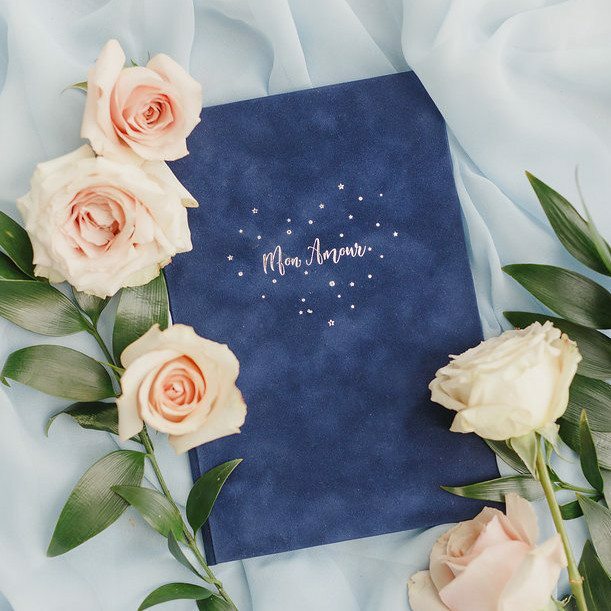 We offer Monsieur and Madame covers through our mini vow booklet set, found here. 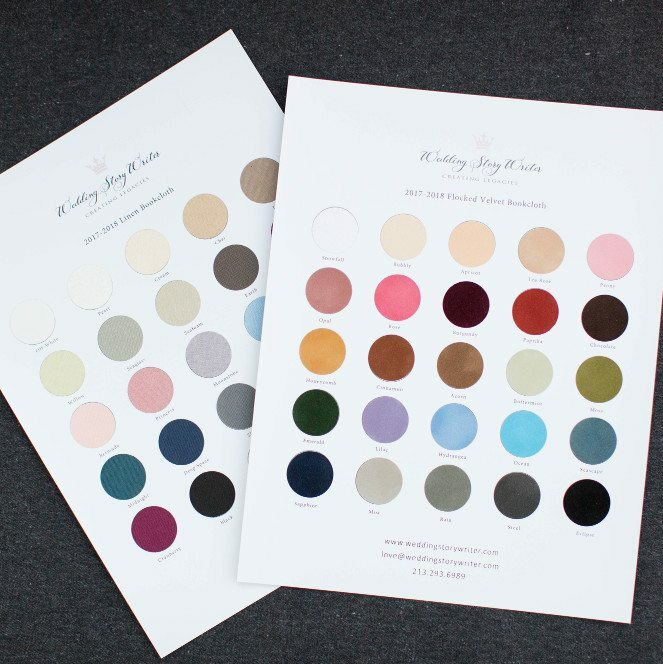 If unsure about your color choice, we highly suggest purchasing our 3-page swatch card set. 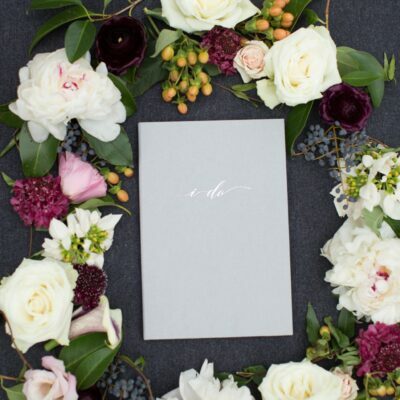 Your vow book comes standard with a neutral interior and with no calligraphy. 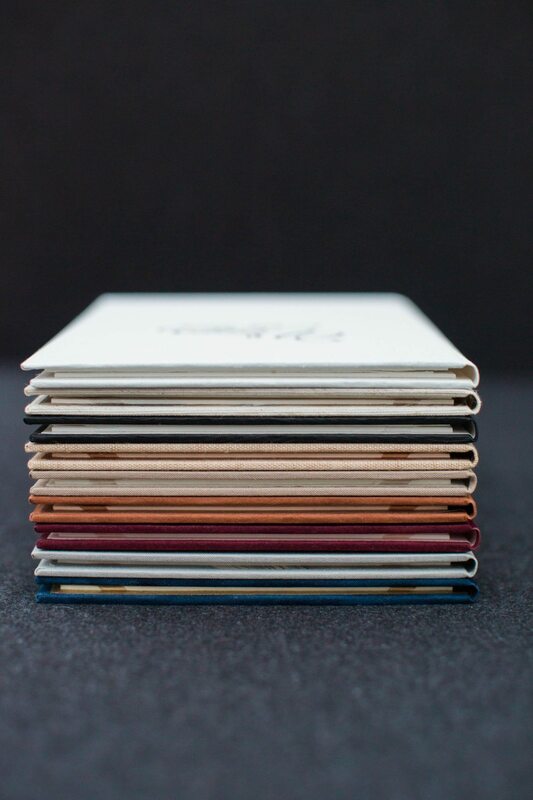 If you would like a different interior, please let us know prior to ordering. Calligraphy is available as an additional option. You will receive up to 150 words in this option/ the equivalent to 75 words per page. 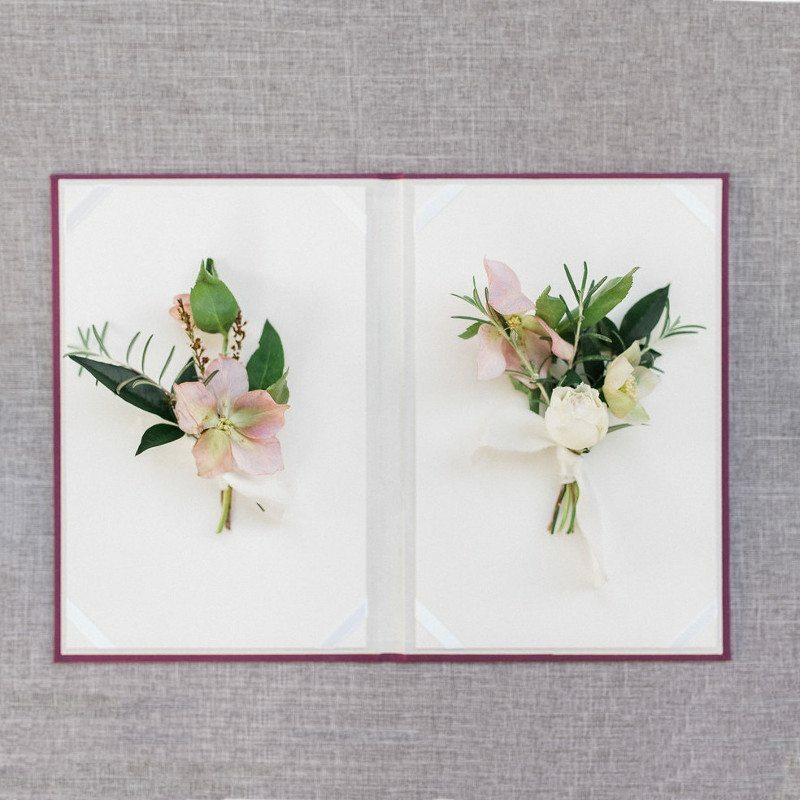 Styling Tip: Pair with your wedding invitations, wedding veil or hair combs, silk ribbons, jewelry, and ring box for a classic look. Care: Please keep in a dry, dust-free and humidity-free area, away from heat and light. Do not bend your vow book backward as it may crack the spine. 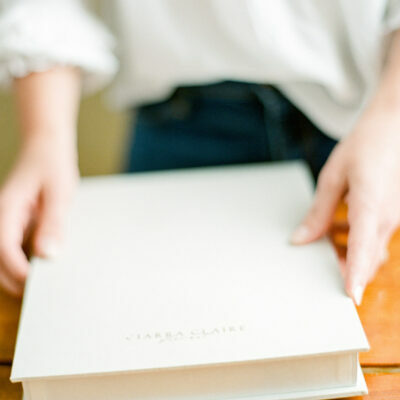 Store in an heirloom Wedding Story Writer Book Box for ultimate care. Please allow 2-4 weeks for creation and delivery. Rush orders are available for an additional cost. Photo credits: Hannah Forsberg, Kristen Booth Photography, Tulle & Grace. 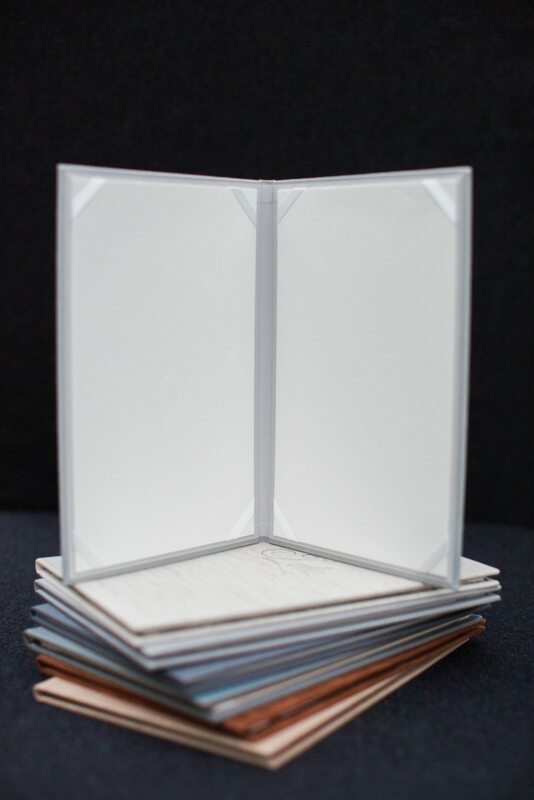 Weight: Vow book, packaging materials, and shipping box weigh approximately 2.3 lbs for shipping estimate needs.